Is your car or truck bouncing wildly whenever you drive over a bump in the road? Does it seem hard to steer properly, even when the road is just a little bit rough? You may be experiencing problems with your vehicle’s shocks or struts. When these parts start to show excessive wear and tear, you’ll find it hard to control your car safely. So it’s important to have these issues checked out and resolved. But how do you know it may be time for your shocks or struts to be replaced? Here are some handy tips to help you. 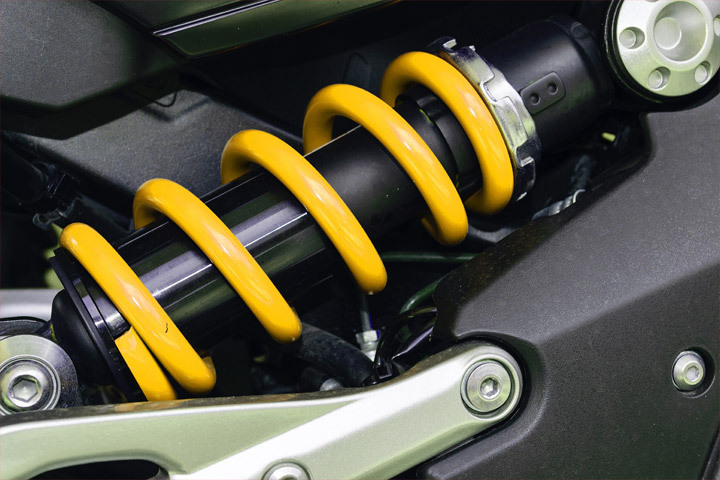 Shocks and struts are an essential part of your vehicle’s suspension system. Though they are different parts, they both serve a similar function. They keep the springing movement of your car to a minimum, stopping oscillation and bounce that can otherwise be damaging to the underside of your vehicle or make it hard to steer properly. When they are working correctly, it will be easy to steer and handle your car, the ride will be comfortable, and your wheels will feel properly aligned. Does My Vehicle Have Both Shocks and Struts to Worry About? No. Vehicles have one or the other, but not both. If a mechanic tries to tell you that you have both, find someone else to work on your car. The difference between these two types of car parts depends on how your particular vehicle was built. Shocks act strictly as shock absorbers, and that’s all they do. Their only goal is to give your car better handling. Struts have multiple roles. They are a structural part of the car’s suspension system, and they also affect your car’s alignment. When a strut is replaced, you’ll also need a wheel alignment at the same time. What Happens When Shocks or Struts Go Bad? Put simply, faulty shocks or struts will make it hard to maintain proper control of your vehicle as you drive. As a result, going over a bump or pothole can potentially cause you to lose control, putting you and your passengers at risk, as well as risking an accident with other vehicles on the road. For this reason, it’s crucial to keep your shocks or struts in proper working order at all times. What Are the Signs that My Vehicle Needs New Shocks or Struts? The most obvious sign of a problem with your shocks or struts is that your car is giving you a much more uncomfortable ride than normal. You’ll feel bumps more, so the ride will feel rough. If you feel like you’re about to lose control of your car when you drive over a bump or pothole, it’s likely your shocks or struts need to be checked out. Another telltale sign of a shock or strut problem is difficulty steering. Your steering wheel may feel stiff or hard to turn. And you may feel like your car is swaying or leaning when you take a turn or switch lanes. Because struts are a structural part of your vehicle, faulty struts can result in other problems beyond just suspension issues. You may notice that your car feels unstable, takes a nose dive or lurches forward when you brake. You may notice visible wear and tear to struts if you know where to look. But the most common visual clue that your shocks or struts may need repair is a fluid leak. When your suspension or wheel alignment is off, your tires will experience uneven tread wear, and it will usually look different than when your tires are just aging. Suspension damage can cause scalloped dips (“cups”) to develop around the edge of the tread. And this problem is very dangerous. If you notice any such signs on your tires, see a mechanic right away. Cars need regular replacement of shocks or struts every 50,000 miles or so, depending on your car’s make and model. Have your mechanic make a routine check of the shocks or struts every 50,000 miles, or however often your operating manual recommends it. The Garage Auto Repair Is Here to Help! If you see any of these signs of shock or strut damage, or if it’s just time for you to have your vehicle routinely checked for preventive maintenance, we’re here to help! Our friendly, knowledgeable team will be happy to assist you and answer any questions about your car’s suspension and other needs. Call us at (918) 806-2709, drop in anytime, or schedule an appointment online.